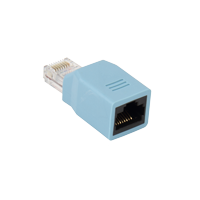 In most cases, either a straight RJ45 cable or a rollover RJ45 cable is used to attach WTI console ports to console ports on various devices such as servers, routers, switches and laptops. 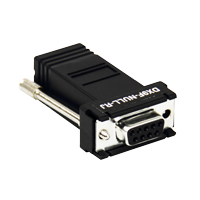 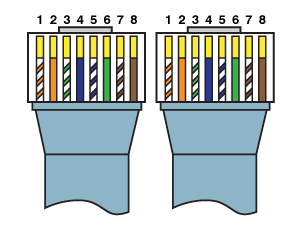 Straight Cables: In Straight Cables the pins on each connector are linked to the same pin number on the connector at the other end of the cable; for example, Pin 1 on the right hand connector is linked to Pin 1 on the left hand connector, as shown below. 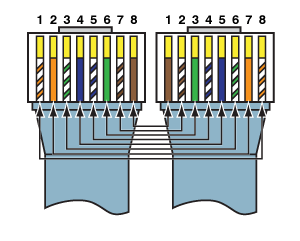 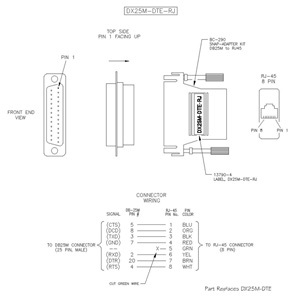 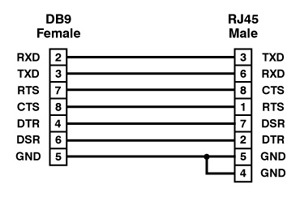 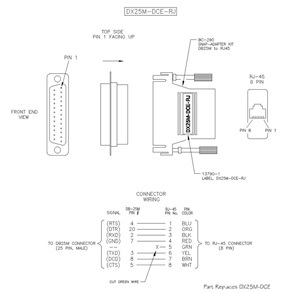 RJ45 Rollover Cables: In Rollover Cables, the order of the pins is reversed; Pin 1 on the right hand connector would be linked to Pin 8 on the left hand connector, as shown below. All WTI devices include either RJ45 format console ports or DB9 format console ports. 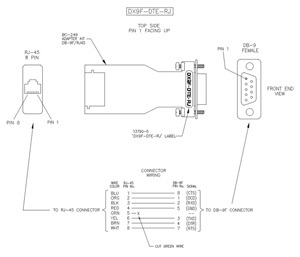 Generally speaking, RJ45 console ports are present on all WTI units except for our RSM Series Console Servers, which feature DB9 format console ports. 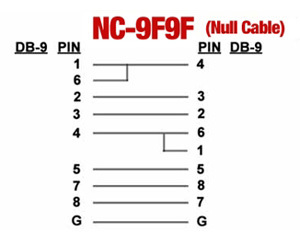 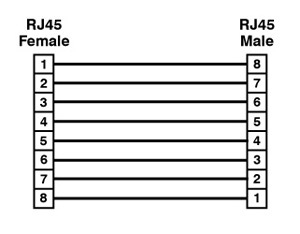 The pinouts for WTI RJ45 console ports and DB9 console ports are shown below. 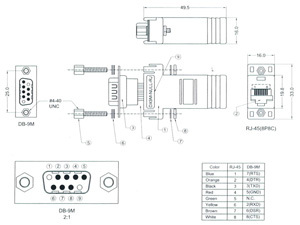 WTI offers a comprehensive assortment of cable adapters and cables that can help to simplify the process of connecting devices. 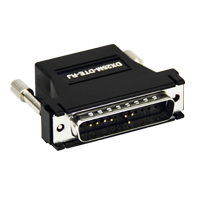 If the cables or adapters described here don't fit your needs, WTI can also create custom cable adapters per your request. 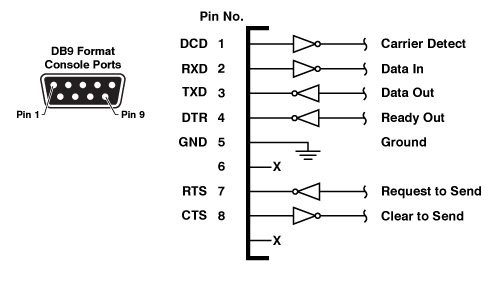 For more information, please contact WTI Tech Support. 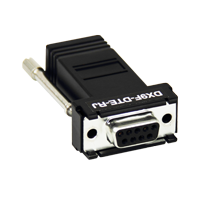 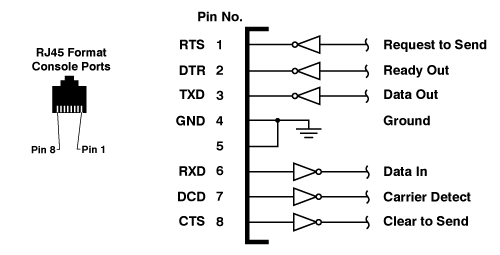 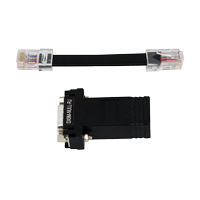 Used for a console connection between a PC and Cisco devices. 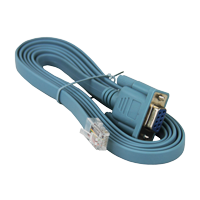 The Cisco 72-3383-01 console cable is the same cable that ships with Cisco switches, firewalls, routers, wireless devices and etc., and will work with both new and older Cisco devices.